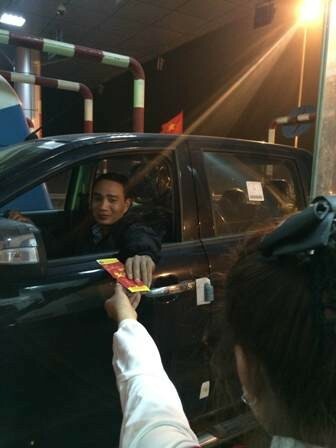 Drivers using the Noi Bai-Lao Cai Highway got a surprise when they were handed lucky red envelopes full of cash when they stopped at toll booths on Lunar New Year's Eve. Noi Bai-Lao Cai Highway, or Hanoi-Lao Cai, is Vietnam's longest continuous highway at 265km, and links the capital with Lao Cai Province. 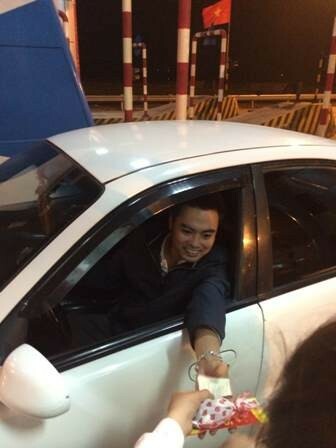 A Chinese businessman, named Shang, who was on an eight-hour drive home when he reached the toll booth. "I was surprised and happy," he said. 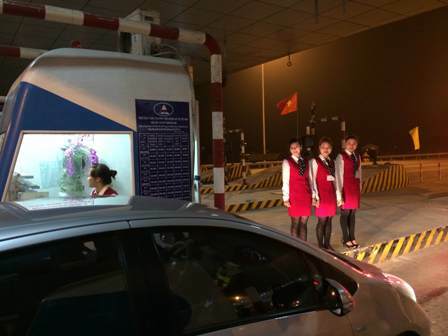 "The lucky money, and well-wishes of employees at the toll booths, made the trip seem shorter and more meaningful." 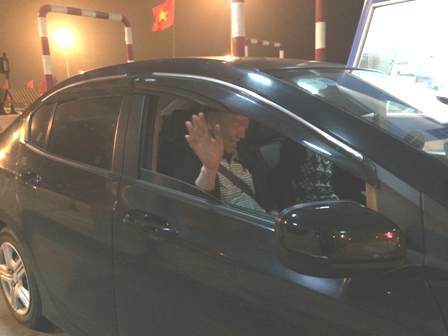 A local from Phu Tho Province, named Bac, said, he was facing a lonely, all-night delivery run when he got onto the highway as the clock struck midnight. 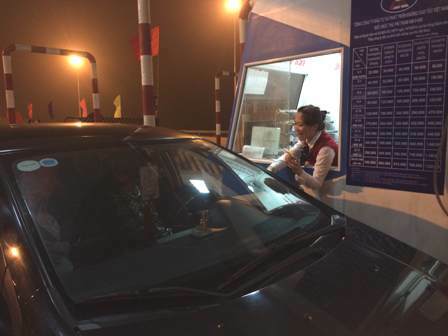 "When the toll-booth employee gave me lucky money and well wishes, I felt much better." None seemed to mind the cash in the envelopes was only a token amount, and appreciated the gesture. The giving of decorative red envelopes containing new banknotes is a Lunar New Year tradition, though usually lucky money is only given to children and elders, to wish them good health, prosperity and happiness for the coming year.